Mo. Ma. 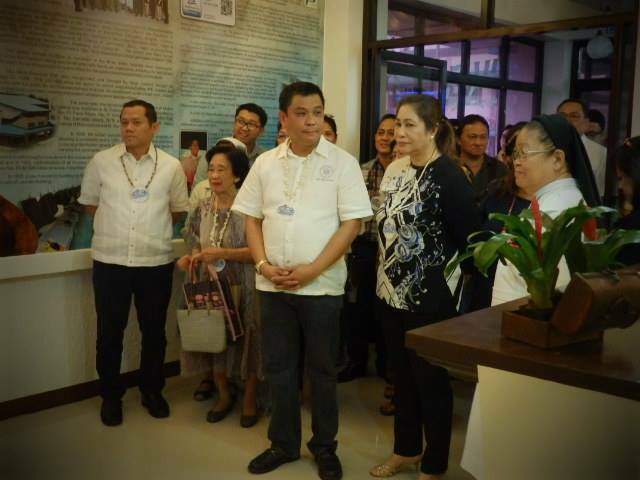 Clarita R. Balleque, RVM was joined by the entire SMCM family in her 50th year as RVM sister last February 2 at the Mother House in N. Domingo, Quezon City. Mother Claire who was formerly the Mother General of the RVM congregation before being assigned as the first president of St. Mary’s College of Meycauayan celebrated with her other co-Jubilarians. Archbishop Socrates Villegas who was the main celebrant shared, “if there is one thing that made me young and feel young until today is not by eating fish and vegetables but by being humble”. He also said that Mother Claire despite his bulk of responsibilities proved that with her kindness and humility she was able to prove the importance of a jubilee. Aside from her SMCM family, her relatives and friends especially her siblings and mother who flew in from Cotabato made her day more special with their presence. 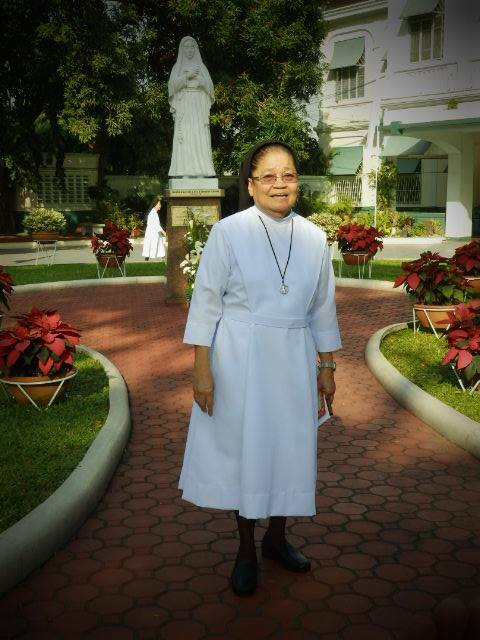 Mother Claire spent her 50 years with the RVM sisters and we are proud that her 7 years of service to the congregation were shared with us in Meycauayan. Three Vice Mayors visited St. Mary’s College of Meycauayan to celebrate the 99th Founding Anniversary of St. Mary’s College of Meycauayan last February 9-13 not only as special guests but as alumni of their beloved school. Former Vice Mayor Antonio Espiritu of Valenzuela who is currently serving the city as its 1st Councilor joined his friend incumbent Meycauayan Vice Mayor Rafael Manzano who both graced the event especially the launching of the book SANSIGLO who they were both featured. The two, together with 35 more fellow alumni were highlighted in the first volume of the book looking back to their journey from being a simple student of SMCM and to their present achievement as leaders in their respective cities. 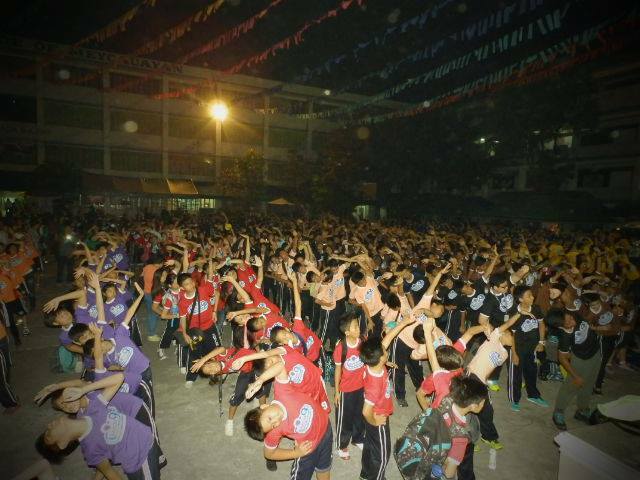 “Balang araw, kayo naman ang tatayo dito sa harapan”, said Espiritu as he challenged his co-Marians to be the best they can be in the years to come. 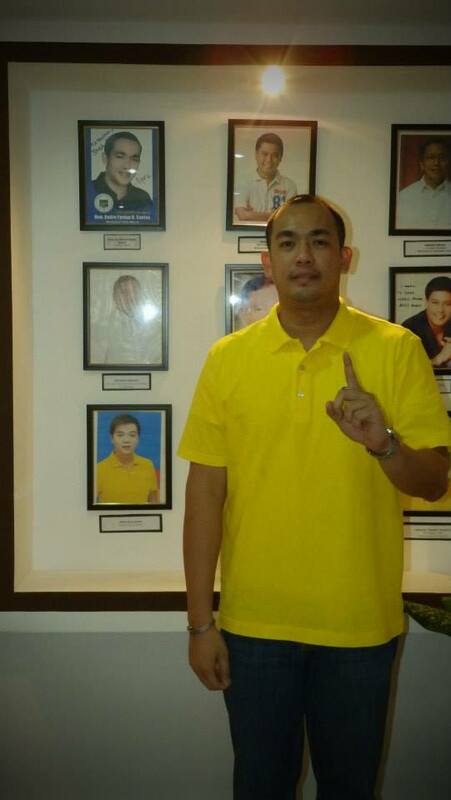 Meanwhile, Marilao Vice Mayor Andre Santos visited his former home and graced his presence at the Museum and Archives where his photo was also highlighted as one of SMCM accomplished students. Santos also made an effort to look for his former teachers and professors as he was not only a former student in high school but also in some of his years in college. It was indeed a proud moment for St. Mary’s that her former children became the people who until today can have the chance to serve others especially their constituents. 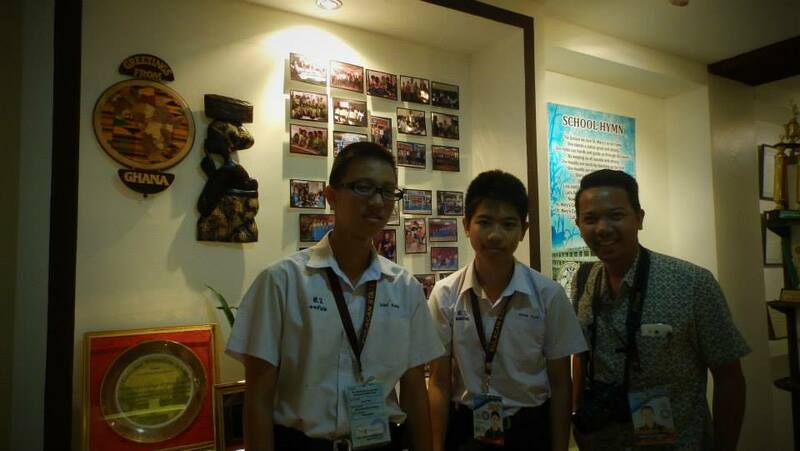 A group of selected students from Samroiyod Wittayakhom School in Thailand visited our dear institution, SMCM, last March 2, 2015. The 2-day school tour was a part of their exchange culture program and to observe classes through a glimpse on how SMCM provides quality way of learning, living and loving. 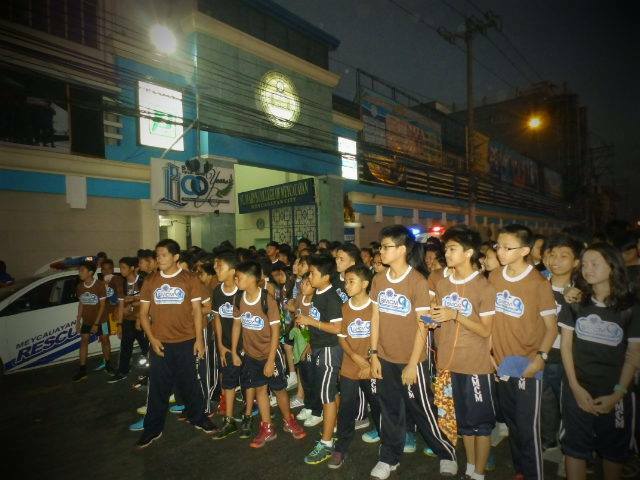 Their brief visit formally started by the welcome gestures of Mother Clarita R. Balleque, the school’s president, RVM sisters and Middle Administrators. After the flag ceremony, a short briefing for the flow of their entire visit and classroom observation was done. Observation of classes started at 8:20 am in the MAPEH class of Mr. Jacob, followed by the English class of Ma’am Singcol in the same section, Grade9 – Prudence, and in the Math class of Ms. Jimenez at Grade 9 – Service. At lunch, Marinel Peroy (MB News Editor) and Maxinne Mangoba (English Achiever) interviewed one Thai named Artitiya Niniabun or Ja, a 14-year-old Grade 8 student & a representative of their group. In the afternoon, the Thai students had a great time with the English achievers and selected students in the library for their immersion. 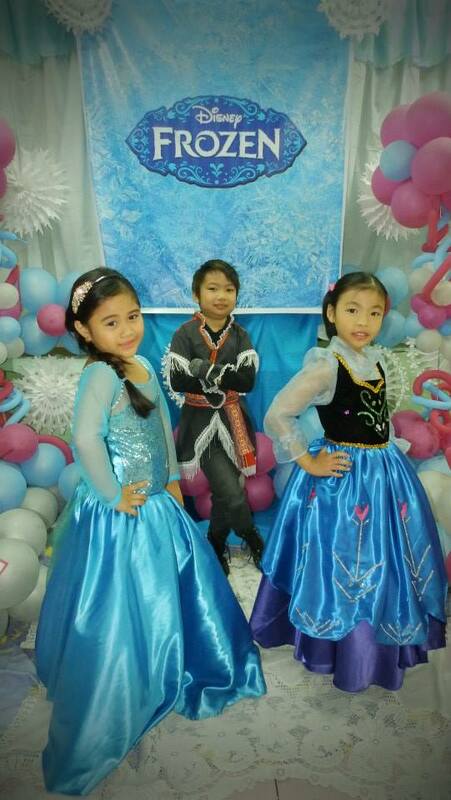 Short program was done at 4:00 where cultural presentations and serenade by the Marians truly inspired the Thai students. 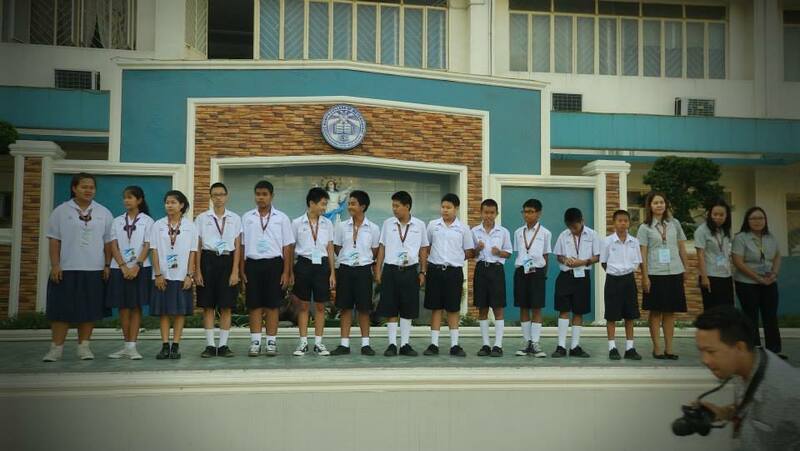 An exchange of memorabilia and the awarding of certificates concluded the memorable visit of the Thais in our school. Indeed, their visit is one activity that they will never forget, especially the hospitality that Marians have shown which is natural to Filipinos. until the endpoint at Saluysoy. The winners of the fun run were alsoannounced the same day. an instructor came to lead the morning exercise with the ZUMBA participatedby teachers and students. along with the English teachers launched the Silhouette: A Human Exhibit. thrive in all Mariansfor everyone to appreciate the world of literary works. of the world of literature. famous literary works and famous people who made great impacts to the world. 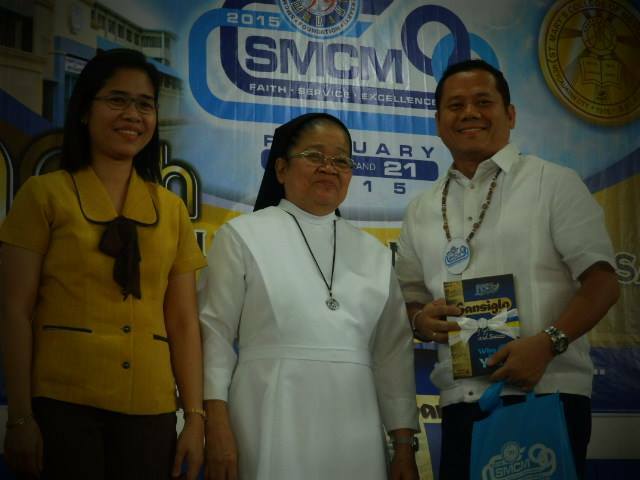 and of course, let us not forget, our dear SMCM President, Mother Claire. decades ago when Mrs. Cristina Singcol was still the Coordinator of the English Area.